Gringo Dinero | Play with Vegas Spins | Win now! 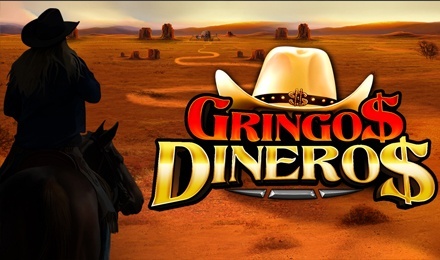 Ride away from the Wild West with huge wins and sacks of golden money when you play Gringo Dinero! Spin to win now! Yeehaw! Gallop into town on your high horse and show everyone who's boss when you play Gringo Dinero. This slot game is filled with all the right symbols including a heady pint of beer, a wild buck, a shiny revolver, cowboy hat, and more. Take charge of the Wild West and start spinning to win by grabbing up the Lucky Coin wilds and Scatter symbols of bags of money! That will activate a free spins round where you can win up to 25 free spins! Land on the cowgirl and saloon symbols on reels 1 and 5, and get the Find Gringo Bonus- reveal the gringo and recieve a huge prize!